Jean-Luc Guionnet his musical work subdivides itself into as many ways as occasions arise for me to think and act with sound. Those occasions have always to do with a strong meeting with an outside element : an instrument (saxophone/organ), a theoretical idea (what is “rumour”? ), and mainly a collaborating friend (André Almuro, Éric Cordier, Éric La Casa, Pascal Battus, Caroline Pouzolles, Franck Gourdien, Taku Unami, Seijiro Murayama, Lotus Edde Khouri) … There then follows a collection of themes which, in turn, influence the evolution of the musical work and define the direction of meetings to come : the thickness of the air, the pidgin (language with neither grammar nor vocabulary), the musical instrument considered as affective automaton, listening dark unto itself, the algebra of and in hearing, sound as a signature of space, signature of objects, signature of what it is not… the fact that French uses the same word – le temps – for time and weather, propagation and spread of forms in time etc. Music is, then, a way to test reality. Conversely, it’s a test whose experience defines a new distribution of the whole body by artificially localizing it in an unknown and purely physical environment, all the while being able to think, count, make relations or understand places, and so forth. The emotion I look for in music is made out of all these strata and the sliding of one over the other during the act of listening. Miguel A. García (aka Xedh) from the Basque country, is one of the most dynamic sound artists from Spain. 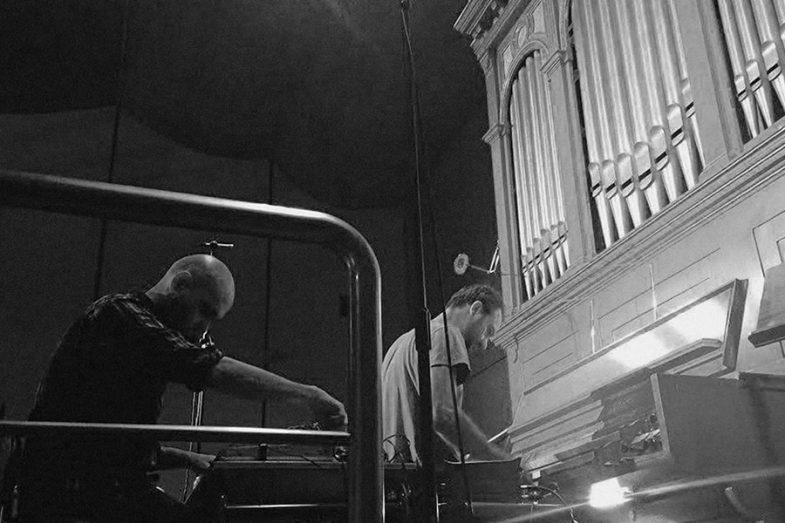 His work focuses mainly on the composition and electro-acoustic improvisation. He uses sounds taken from electronic devices residues, often interrelated with field recordings or acoustic instruments, in the search of an intimate, intense and immersive experience. A music of adventurous forms, full of contrasts and having nevertheless a sense of humour. His background comprises fine arts and audiovisual technology, questioning the borders between electro-acoustic academic music, industrial music and the so called outsider music. With his solo project or in different groups, he has played in festivals in countries like Belgium, Estonia, Finland, France, Germany, Italy, Mexico, The Netherlands, Norway, Spain, Poland, Portugal, Russia & USA. His work has been released worldwide by many labels, including Auditory Field Theory, Copy For Your Records, Creative Sources, Geraeuschmanufaktur, Hideous Replica, Idiosyncratics, Insub, Intonema, Mikroton, Pilgrim Talk, Rhizome.s, Mikroton, Nueni or Zeromoon. He works regularly with musicians like Ilia Belorukov, Sebastien Branche, Alfredo Costa Monteiro, Seijiro Murayama or Ibon Rg, and has collaborated with artists such Lali Barriere, Heddy Boubaker, Jean-Luc Guionnet, Kurt Liedwart, Francisco Meirino, Nick Hoffman or Hector Rey. As a promoter, amongst other projects, is the founder of the Club Le Larraskito and director of the Zarata Fest, both platforms dedicated to the broadcast of challenging art and music.